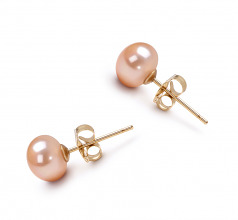 Elegant and Graceful the Pink Freshwater Pearl Earring Set takes on the style of the calm and graceful nature that offers a pleasant surprise to any age or occasion. 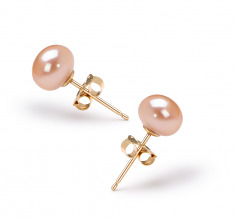 The (AAA) button shaped Pink Pearls offer the petite design that a lady desires to compliment that special outfit or wardrobe that needs updating. The 5.5-6mm size, AAA Luster and 100% Nacre work together in perfect unison to create that dazzling array of sparkling shine that encases the pink freshwater pearls, the growth of these pearls and Mother Nature acts in the way of a true genius. 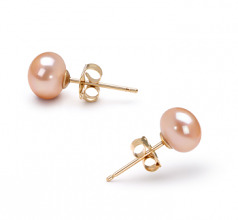 These earrings feature stud posts and butterfly backings. Take on the wealth of a lifetime and begin a new tradition in your family.